A diorama is an excellent way for elementary children to begin to grasp the vastness of the solar system. 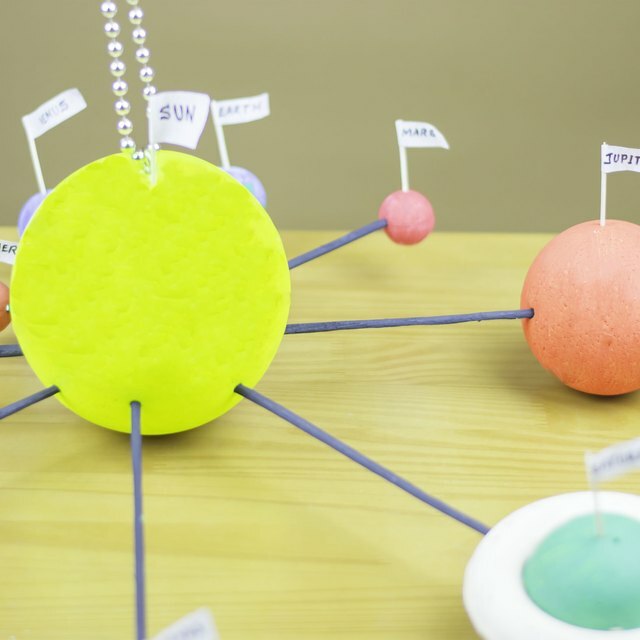 Use household items to represent each planet as well as the sun. While there are no shoeboxes large enough to demonstrate each planet's distance from the sun to scale, it is possible to approximate the size of the planets in proportion to one another inside a shoebox. Line the interior of a large shoebox in black construction paper. Alternatively, paint the interior entirely in black paint. Place glow-in-the-dark star stickers throughout the interior of the box. Stand the box on its side with the opening facing outward. Poke 10 holes through the top of the box with a nail to suspend the planets. Paint a Styrofoam ball approximately the size of a grapefruit with yellow and orange acrylic paint. Attach a string to the top of the ball with a hot glue gun. Poke the other end of the string through the first hole on the top of the box and tie the string. Write the word "Sun" on a small rectangle of paper. Fold the paper in half to create a table tent on the bottom of the box under the sun. Place a pinhead-sized dab of glue on the end of a string. Paint the glue drop red. Tie the string to the top of the box next to the sun. Label the red planet "Mercury" on a small table tent. Place a dab of glue twice as large as Mercury on the end of another string. Paint the glue drop blue. Tie the string to the top of the box next to Mercury. Label the blue planet "Venus" on a small table tent. Create a small Earth with a dab of glue a bit larger than Venus. Paint it blue and green. Attach Earth to the box and label it with a table tent. Create Mars with a tiny dab of glue similar to the size of Mercury. Paint it red. Attach Mars to the box and label it with a table tent. 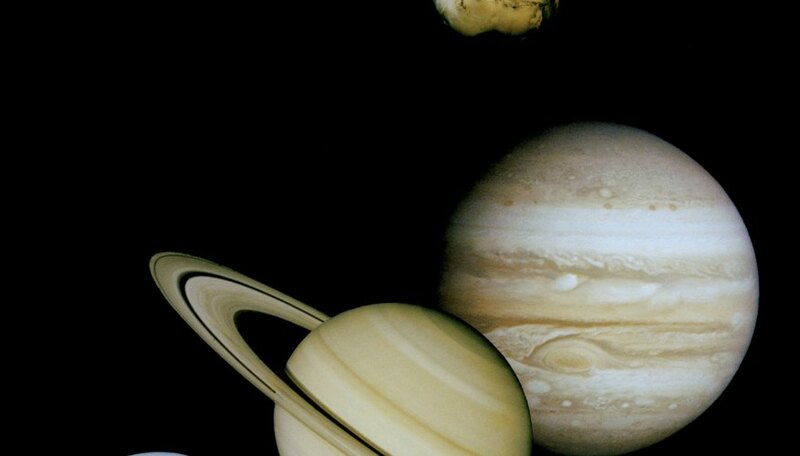 Create Jupiter and Saturn by gluing a string to a standard sized marble for each planet. Use the hot glue gun to make a ring around Saturn. Label Jupiter and Saturn with a table tent. Create Uranus and Neptune by gluing a string to a standard sized ball bearing for each planet. Paint Uranus orange and Neptune blue. Label each with a table tent. Rynsburger, Miska. "How to Make a Solar System Diorama for Kids." Sciencing, https://sciencing.com/make-solar-system-diorama-kids-12062977.html. 24 April 2017.